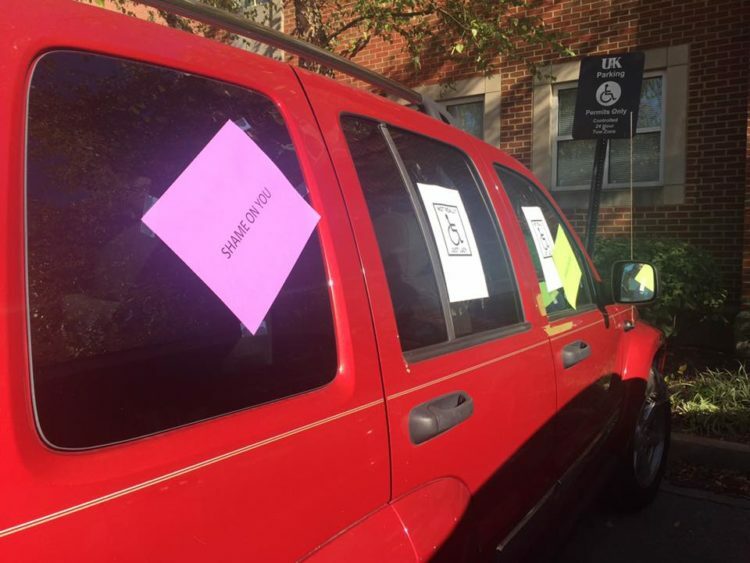 On Friday, college student Lexi Baskin shared photos of her car covered in angry signs after she parked in an accessible parking spot at the University of Kentucky. 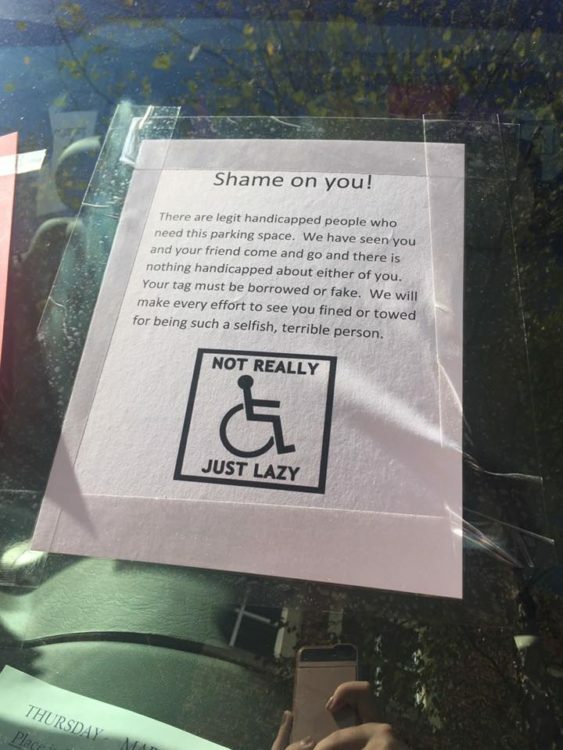 Multiple notes were left on Baskin’s car accusing her of borrowing or purchasing a fake disability parking placard. What the poster of those notes didn’t know is that Baskin has cancer. There are legit handicapped people who need this parking space. We have seen you and your friend come and go and there is nothing handicapped about either of you. Your tag must be borrowed or fake. We will make every effort to see you fined or towed for being such a selfish, terrible person. Baskin shared the photos on social media to raise awareness and remind others that they shouldn’t be so quick to judge or condemn others. Baskin’s tag isn’t fake, she’s legally allowed to park there due to her cancer diagnosis and current course of radiation therapy. Since sharing what happened to her, Baskin has received support from others on social media, many of whom shared similar experiences. That tape is going to leave marks. I’m not a lawyer yet, but I’m pretty sure if you can find out who did it you can sue them. People should never judge others. Noone has a clue of what someone else is going through in life. Sad that someone did this! So proud that you are spreading ❤️ to those who need it most! Your positive attitude and your strength are commendable! ???? this touched me, I had cancer as well & I look normal & I have a handicapped sticker, people always stare at me when I get out of my car!!! Issues. Using my pass makes me so anxious. I hope this doesn’t deter you from using yours in the future. ???? The Mighty reached out to Baskin for comment and has yet to hear back.